Orange has claimed that it has broken sales records with its release of the Orange iPhone 3G and 3GS, selling 30,000 units in the first day of release. "As of 4pm today Orange had sold more than30,000 iPhones across the UK – smashing what we believe is the previously published first day sales records for a handset in the UK." However, it's unclear how this stacks up against rival networks, including O2's iPhone sales figures, as most don't publish such numbers. O2 was rumoured to have sold 8,000 iPhones (although only the 2G version) on its first day of sales, but the network has told TechRadar that it was significantly more, although declined to give an actual figure. 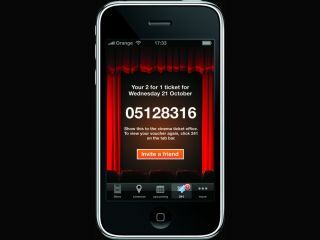 Orange's first UK iPhone app, for links to Orange Wednesdays services, has also leapt to the top of the charts, with the network stating that it is top of the entertainment app charts, and second in the overall free applications run down. Hardly surprising given the ease of which it give two for one cinema tickets, although don't forget this won't work with iPhones on O2. Whether it has broken records or not, the early sales of the iPhone for Orange are encouraging in a market that has been offered access to the device for over two years. It will be interesting to note whether Vodafone manages similar sales when it releases the iPhone early next year, or whether Orange has stolen the 'non-O2' iPhone crown.